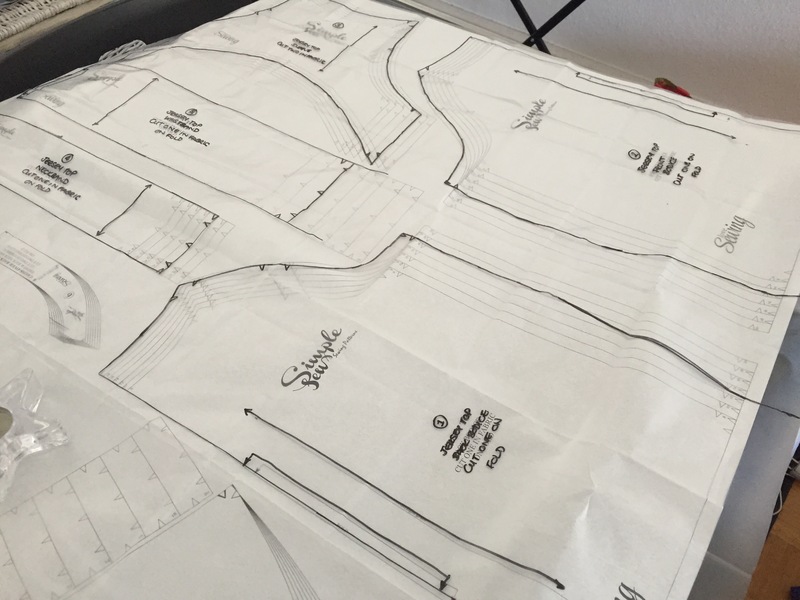 I’m going to just come out and say it … I hate tracing patterns! I’m definitely the kind of seamstress who likes the actual sewing with a sewing machine, and not the kind of seamstress that likes tracing off patterns from ginormous and cumbersome pattern sheets. However, I have come to acknowledge that the better your tracing and initial pattern adjustments, the better your finished project. I have also learnt that if you trace one pattern really well you can come back to using it time and again – so it’s worth doing it well to make it only one painful experience! In an effort to minimise the aforementioned pain and my hatred of pattern tracing, I went on the hunt for professional materials that would make my life easier. In fairness to the process of pattern tracing, this is the point that I need to admit that until now I have either used baking paper or flip chart paper. Having made my exciting new discovery, I now wonder why I persisted with this method for so long! So what did I find? Pi-dy! (Yep, I’d never heard of it either!) 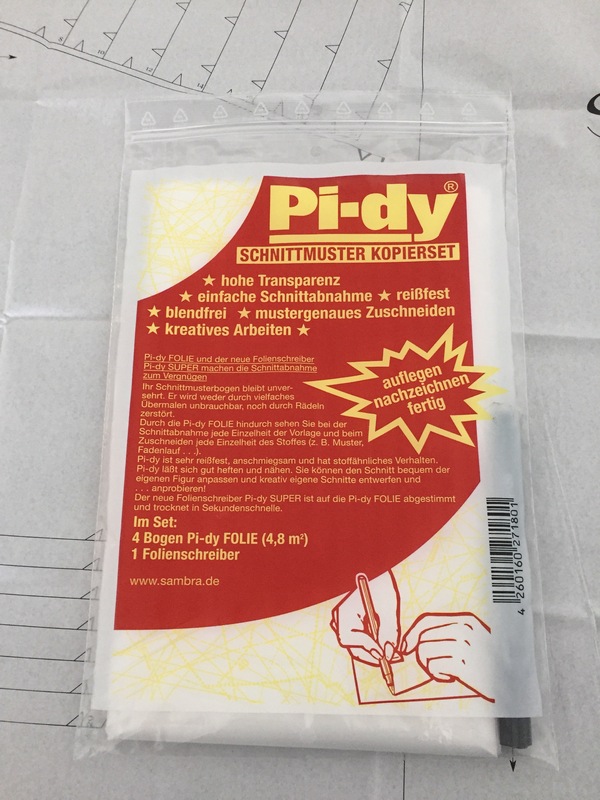 For those of you who don’t speak German, the packet promises “high transparency, easy pattern copying, no ripping, exact pattern cutting and creativity” (a high promise indeed!). It also states “lay it, copy it, finished!” and includes a special pen for tracing, all for EUR 3.50! I have to admit, I was sceptical – could this really live up to the packaging’s promise? From my perspective this little package did exactly what was promised … I was really impressed. I don’t think I have ever traced off a pattern so easily, didn’t miss a single marking, and definitely did not need to put a lamp underneath my glass table to use as a lightbox (yes I may have been known to do that!) Essentially Pi-Dy is like a really really thin plastic bag … super easy to see everything, and also surprisingly not slippery. The special pen also lives up to expectations. I thought I’d get covered in ink as I traced, but no! 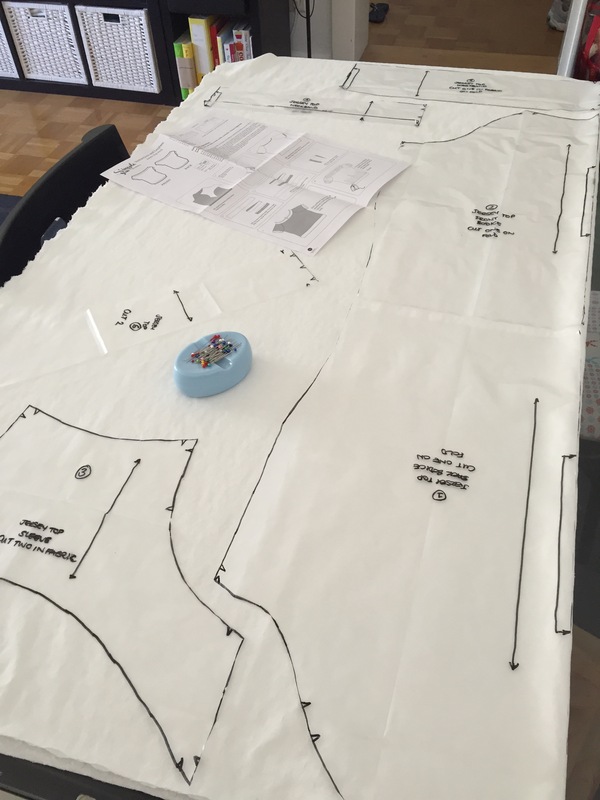 Here are my pattern pieces post being cut out in use on fabric. They pin really easily and nothing tears …. So all in all I am delighted with my purchase. I only needed to use 1 sheet and there are about 20 in there … so for EUR 3.50, a bit of a bargain! I thought it warranted it’s own blog post as to be honest until I saw it in our department store haberdashery corner I’d never heard of it, never seen it recommended or blogged about. I’d be curious to hear if any of you have heard of it? Maybe it’s a German thing? Who knows! What do you use to trace your patterns? Anyone else hate it as much as me? I guess now I’ve found Pi-Dy I can’t say I really hate it anymore …. 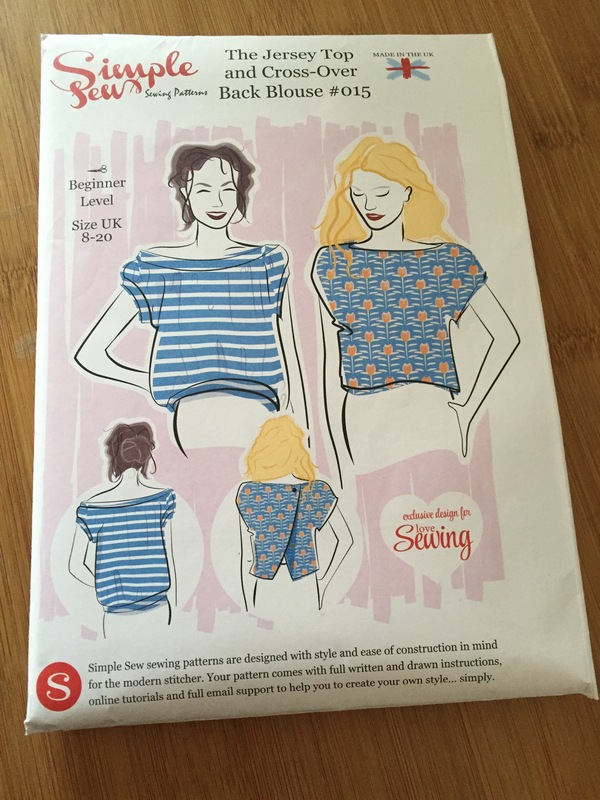 Oh and if anyone is curious what’s on the cutting table … the Pi-Dy was used to help production of the Jersey Top from this SimpleSew Pattern … coming to my next blog post! I agree about pattern tracing – it can definitely be tiresome. Freezer paper works best for me, but this looks like a great discovery (and a great bargain – so rare in sewing), especially for patterns with pieces that are wider than the standard 18″ roll.